Israel's Beersheba court on Tuesday issued an 18-month prison sentence against Gaza's Freedom Flotilla captain Suheil al-Amoudi. 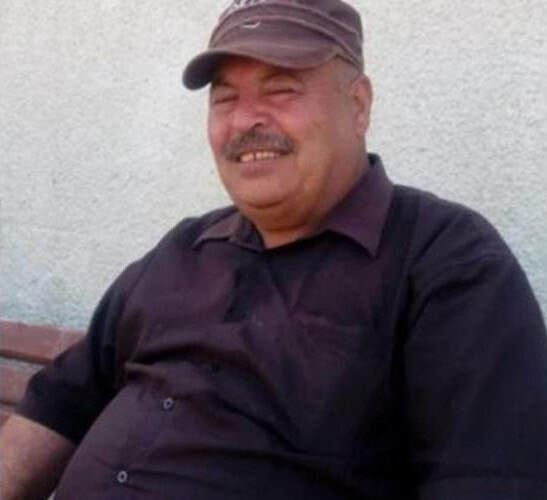 Head of Waed Association Abdullah Qandil told Quds Press that the Israeli occupation authorities accused al-Amoudi, 56, of crossing the sea border, providing illegal services, and working for Hamas. Qandil said that the Israeli court accused the Palestinian captain of providing services to Hamas and purchasing two boats between 2015 and 2016 for the anti-siege Freedom Flotilla campaign. He added that al-Amoudi suffers from high blood pressure, diabetes, and heart problems, noting that he is even prevented from taking his medicines by the Israel Prison Service. Dozens of Palestinian civilians were injured on Monday evening when the Israeli occupation forces opened fire at Palestinians demonstrating peacefully on northern Gaza coast. 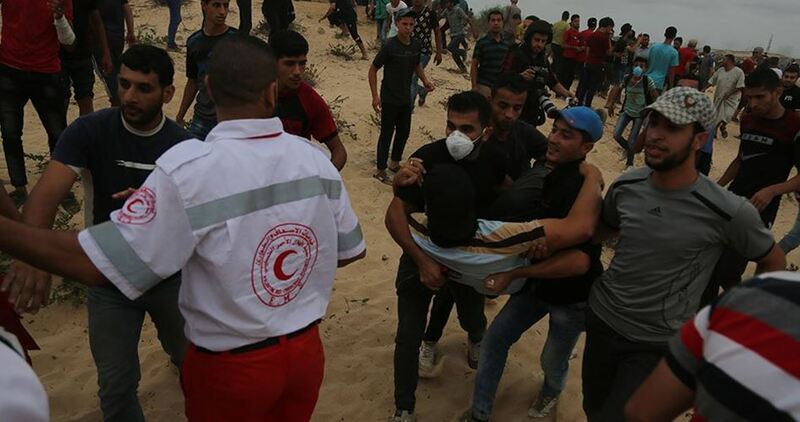 Gaza Ministry of Health said that 93 demonstrators were injured, 37 of whom by live ammunition, adding that ambulances were also attacked with gunfire and teargas canisters. 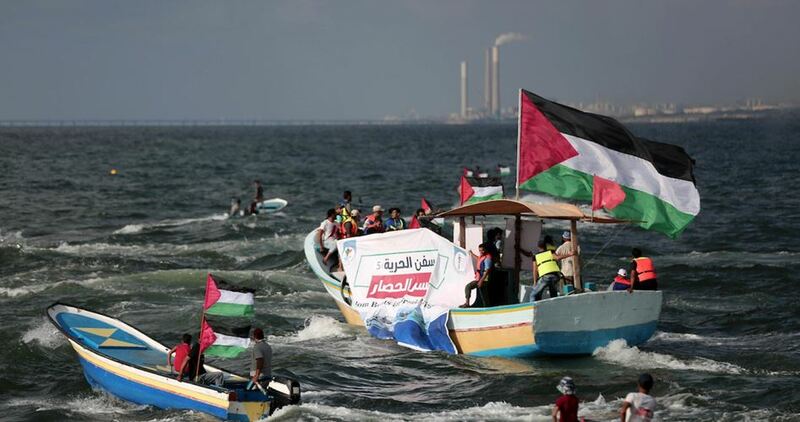 The tenth Freedom Flotilla launched from the Gaza Strip on Monday left Gaza port heading toward Israeli-controlled water in an effort to break the siege imposed on the coastal enclave for 12 years now. The PIC reporter said that thousands of Palestinian citizens demonstrated peacefully on the coast north of Gaza to support the flotilla, which is part of the ongoing Great March of Return activities, and to demand lifting the siege. Khader Habib, a member of the Higher National Committee for the Great March of Return and Breaking the Siege, said that Gaza border protests will continue until they achieve their goals. Israeli soldiers killed, Monday, one Palestinian and injured 90 others, during a protest in northern Gaza, especially at the shore where many boats attempted to sail and challenge the ongoing Israeli siege on the coastal region. Media sources in Gaza said the soldiers fired a barrage of live fire, in addition to high-velocity gas bombs and rubber-coated steel bullets. 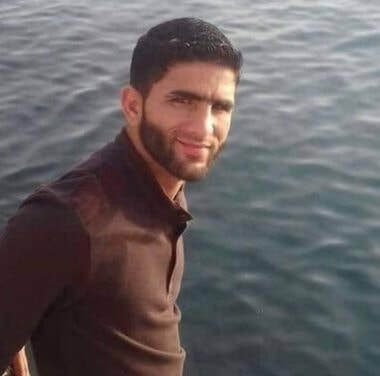 The Health Ministry in Gaza has confirmed that the soldiers killed Mohammad Fayez Salim Abu Sadeq, 21, and injured ninety other Palestinians, including ten who were shot with live fire. It added that the soldiers also fired a gas bomb directly at a Palestinian Red Crescent ambulance, while trying to reach some of the wounded protesters. Furthermore, the soldiers shot Monser Sawwaf, a cameraman working of the Anadolu Turkish News Agency, with a gas bomb in his leg, while live rounds also struck his camera and equipment. It is worth mentioning that, using slingshots, Palestinian protesters managed to down an Israeli drone while firing gas bombs at them. The soldiers also fired many gas bombs and live rounds at the boats, trying to break the illegal siege on Gaza. Palestinian crowds gathered at the west northern borders of the besieged Gaza Strip to take part in a boat protest setting off from the Gaza seaport against the siege, on Monday. 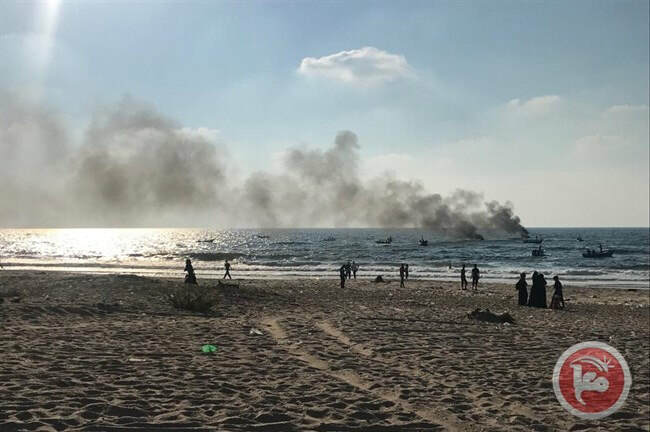 A Ma'an reporter said that the Israeli navy obstructed the protest's way off the shore by firing live ammunition and tear-gas bombs towards protesters. The National Committee for Breaking the Siege, that organized the protest, called upon the "free world" to save Gaza. As part of Israel's blockade of the coastal enclave since 2007, the Israeli army, citing security concerns, requires Palestinian fishermen in the Gaza Strip to work within a limited "designated fishing zone," the exact limits of which are decided by the Israeli authorities and have historically fluctuated. Many attempts have been made throughout the years to draw the public's attention to and break the on-going siege of the Gaza Strip whether via ships attempting to sail into Gaza or ships attempting to sail from Gaza. 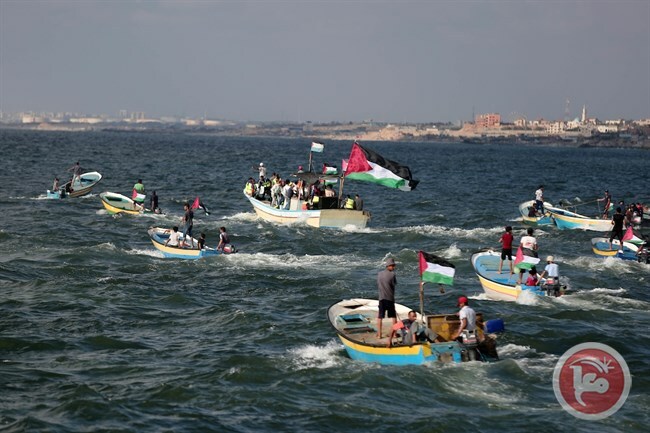 The PIC reporter said that about 50 boats, carrying on board students and injured people, took part in the seventh Freedom Flotilla campaign launched from the Gaza Strip. Member of Hamas's Political Bureau Fathi Hammad praised the Palestinian people's determination and bravery over the past months. Hammad stressed that Palestinians in Gaza will continue their protests until they achieve their goals and restore their usurped rights. Since 30th March, Palestinian citizens in Gaza have been protesting in five camps along Gaza's border with the 1948 occupied Palestinian territories in what is called "Great March of Return". A sixth camp will be installed starting Monday northwest of Gaza. Israeli gunboats on Sunday afternoon attacked a flock of fishing vessels sailing off Gaza’s seashore, in a symbolic gesture aiming at breaking the tough Israeli blockade on the enclave. A PIC news correspondent said Israeli warships targeted fishing boats with teargas canisters to force them to backtrack. Hundreds of protesters who reached the northern borders off the Sudaniya coast were also hit with teargas. Around 50 ships joined the boat parade, in the six such move staged by the National Commission to Break the Siege. Injured civilians, students, and disadvantaged Gazans took part in the protest event. Shortly before the parade kickstarted, the commission stressed, in a press conference, Palestinians’ firm rejection of Israeli measures to establish a buffer zone in Gaza. The commission called on the Israeli occupation to cease its aggressions against Gaza and lift the 12-year-old siege. It further railed against the US decision to undermine the stability of the UN refugee agency, saying such moves will not succeed to change Palestinians’ inalienable rights. The National Commission to Break the Siege has announced it will launch the fifth sea trip from the Gaza port to the northern maritime border of Gaza at 05:00 pm on Sunday to demand an end to the Israeli blockade on the improvised enclave. In a news conference held at the Gaza port on Thursday, a spokesman for the commission said that the Palestinian people in Gaza wants to break the siege as a human right complying with the Universal Declaration of Human Rights. The spokesman also called on the Palestinian Authority in Ramallah to lift its sanctions on Gaza. He affirmed the popular moves against the siege would continue by land and sea until the two million people of Gaza enjoy a decent life. Israeli naval forces opened fire at dozens of Gaza flotilla boats that set sail on Saturday from the besieged Gaza Strip port in attempt to break the maritime blockade imposed by Israel. According to local sources, Israeli naval forces opened fire a while after five boats of the Gaza flotilla set sail towards the northern borders of Gaza to break the nearly 12-year siege. Sources mentioned that the Gaza flotilla consisted of 40 boats, with patients and students on board, carrying Palestinian flags and signs demanding the lift of the siege on Gaza. The Gaza flotilla was forced to sail back to the Gaza port after shots were fired. No injuries were reported during the incident. The International Committee for Breaking the Siege of Gaza announced the launch of the demonstration by the Gaza flotilla in multiple letters to the international community. The International Committee for Breaking the Siege of Gaza said the demonstration reflected the demands of the Palestinian people to lift the siege completely. A new flotilla of ships left Gaza on Saturday evening toward the northern sea border in a bid to break the 12-year-long Israeli blockade on the Palestinian territory. 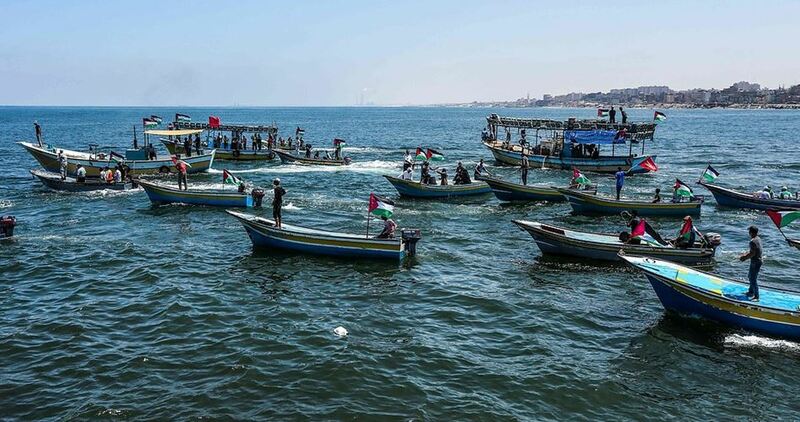 National Movement to Break the Siege said that a number of boats carrying dozens of Palestinian citizens will sail toward the north in an effort to end the suffering of the Gazan people who have been living under crippling blockade for years. Spokesman for the movement Bassam Manasra said that anti-siege protests and campaigns will continue until the siege is lifted. Abu Belal al-Aklouk, speaking on behalf of the Palestinian citizens in the Gaza Strip, called on the international community to pressure Israel to lift the blockade and push for the establishment of a sea crossing to transport goods freely to the coastal enclave. Al-Aklouk also called on the Palestinian Authority to put an end to the punitive measures it has imposed on the Gaza Strip. This flotilla is the fifth of its kind since 29th May. 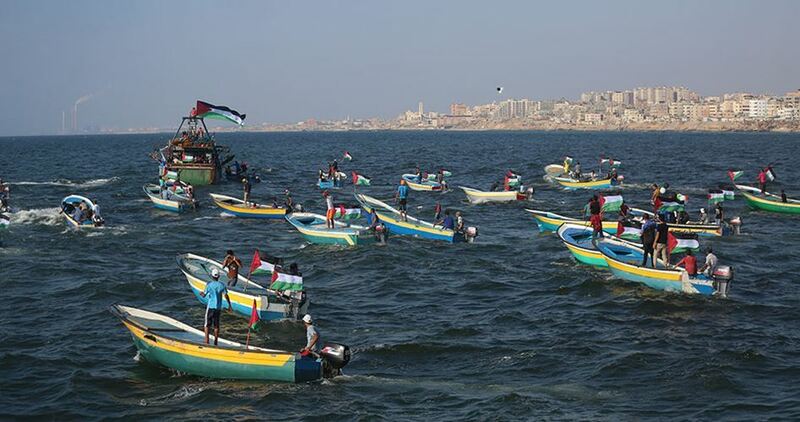 The fourth flotilla was launched last Saturday with the participation of 40 boats carrying dozens of Palestinians. The boats were intercepted and attacked by the Israeli navy.